El Paso County Courthouse with Don Stratton and his family arriving by police motorcade. 2. 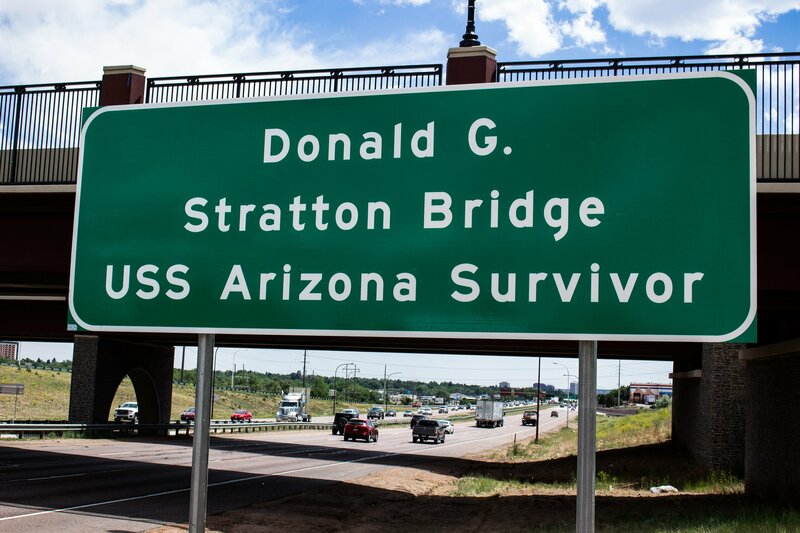 On June 8, 2018, a formal proclamation was made at the Colorado State House officially naming the bridge atInterstate-25 and Fillmore Street in Colorado Springs in honor of Mr. Stratton. Two hundred from the community celebrated with a formal ceremony. 3. On December 7, 2018, the PPHLC will unveil an exhibit at the Colorado Springs Airport also honoring Mr. Stratton. It will be a multi-generational educational tool for the 1.7 million visitors who annually pass through the airport. For more information and Charter, click here. 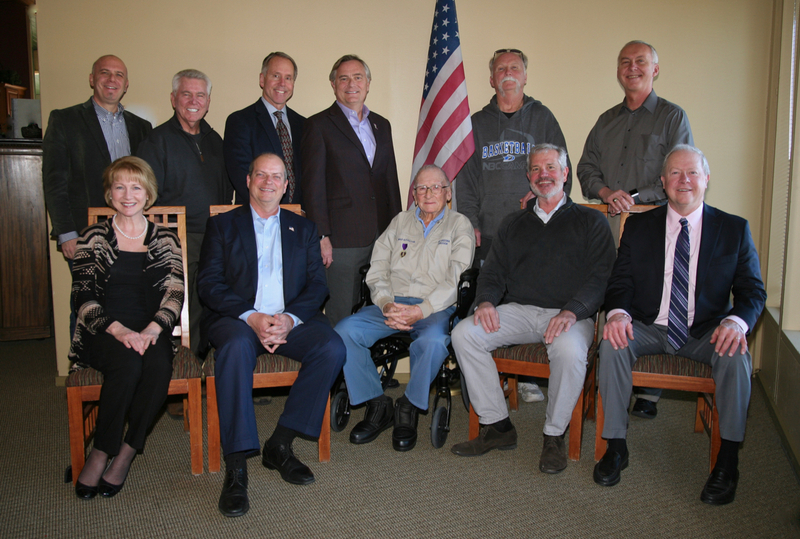 The first act of the Pikes Peak Heroes Legacy Committee was to honor Donald Stratton. Committee members decided that naming a bridge in his honor would be the best course of action. 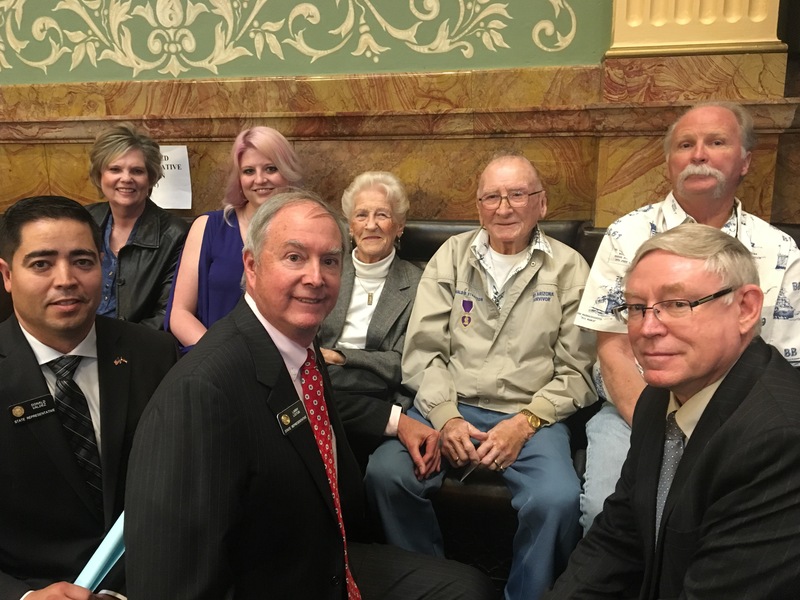 Representative Liston brought a proclamation to the General Colorado Assembly asking that the new I-25 Fillmore Bridge be name the Donald G. Stratton Bridge. The proclamation was unanimously voted in favor after a standing ovation. The ceremony took place on June 8, 2018, also known as Donald G. Stratton Day in Colorado Springs.